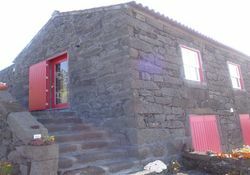 Below you can find all our units in the municipality of São Roque do Pico, north of the island. 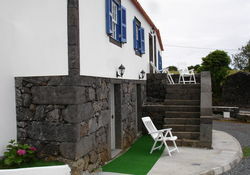 A relaxing environment, a place where you can escape from the routine and enjoy nature, right in the centre of the Azores. 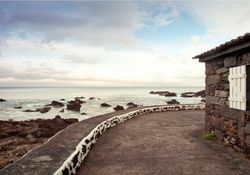 Nesting between the blue of the sea and the green of the mountains you can find Adegas do Pico the prefect place for nature lovers. 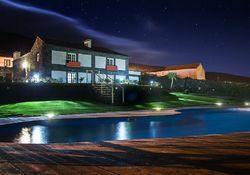 Overlooking the Atlantic Ocean and with one of the most beautiful views to the Pico Mountain and to the island of São Jorge, in a landscaped setting par excellence. 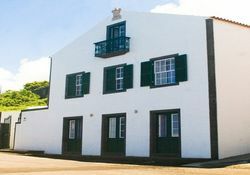 A space where you can enjoy relaxing environment in the Azorean landscape, read a book, or simply get sun admiring the see, the flight of the Açor (Bateau) and listen to birds.